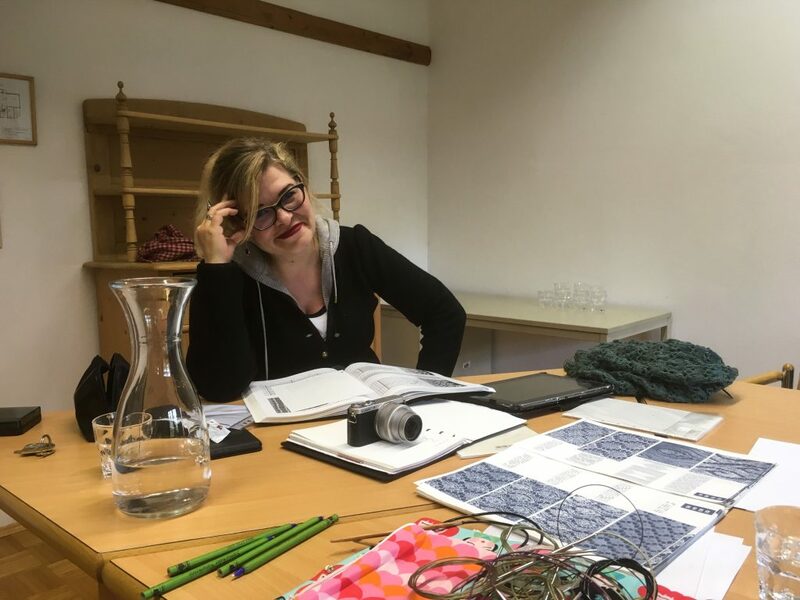 Old friends from Austrian Yarn Club invited me to join their Austrian Yarn Club Wollness Weekend and give some talks about shawl design, lace knitting and knitting for a living. We arrived at the venue – Hotel Steinschalerhof in the so-called Dirndl Valley in lower Austria – on Friday evening. Steve started to learn how to cast on. 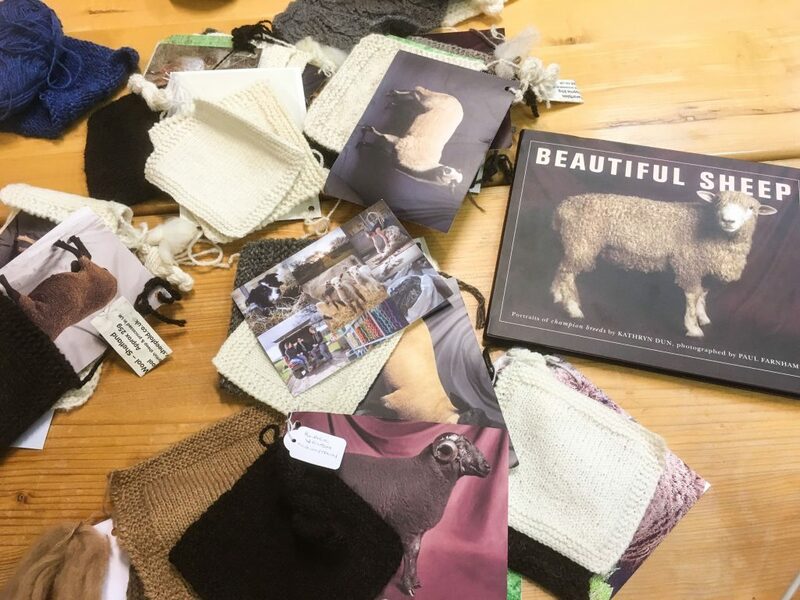 We browsed lovely swatches of various sheep breeds. Yes, these sheep are more than beautiful. Where can I get this book? On Saturday, I talked about about shawl design and knitting for a living. During the shawl design class Theresa from Austrian Yarn Club spiced up our discussion with her insights about swatches: I’m so happy to hear I’m not the only swatch advocate out there! 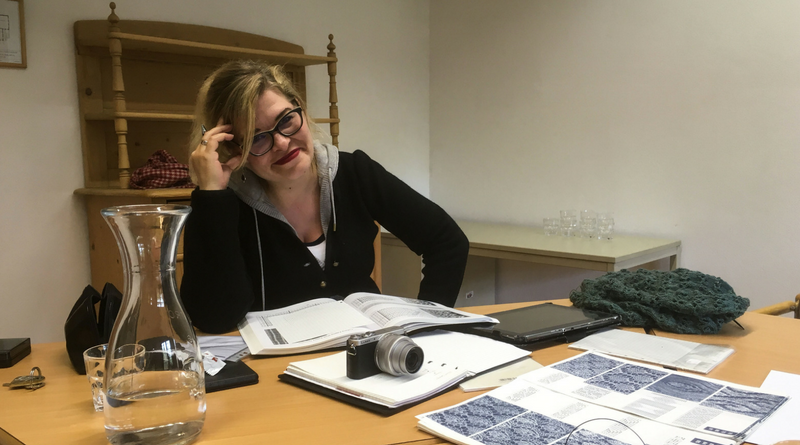 We talked lots about different shawl shapes and how to construct them. All-time favorites were crescent shawls as well as Faroese and vortex shawls. I explained how every shawl shape can be constructed using basic geometric shapes: Rectangles, triangles and circle segments. 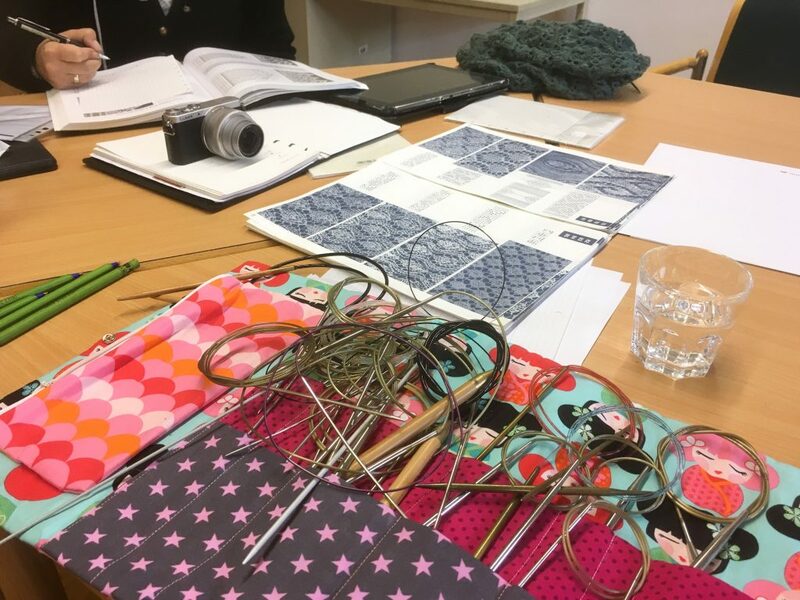 The class about Knitting for a Living was small but exceptionally useful for all attendees, providing deep insights about the sharing economy and how to give more than you take applied to knitwear design and the design of knitting patterns. 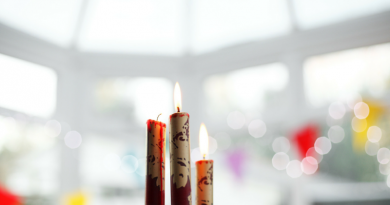 Making a living from knitting actually starts with giving to the community! Sunday was reserved for my lace knitting class. 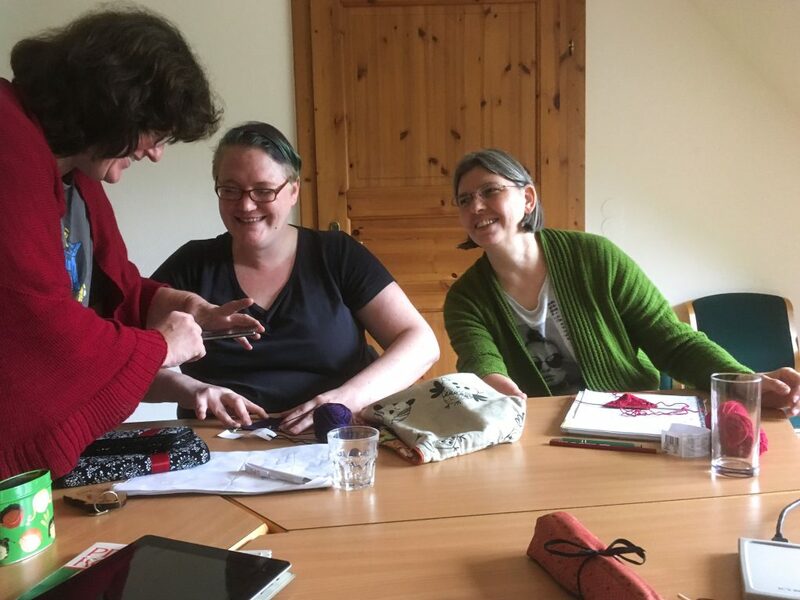 I never had so many highly skilled knitters in a lace knitting class before and it was a pleasure to talk about advanced lace knitting. 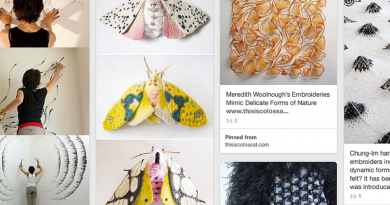 We discussed fitting certain lace stitch patterns in various shawl shapes and how to transform rectangular stitch patterns into patterns suitable for triangle shapes and adjusting stitch counts as well as designing your own lace stitch patterns. Heidrun provided some of her Wollmeise leftovers for a first hands on for starting a lace vortex shawl. 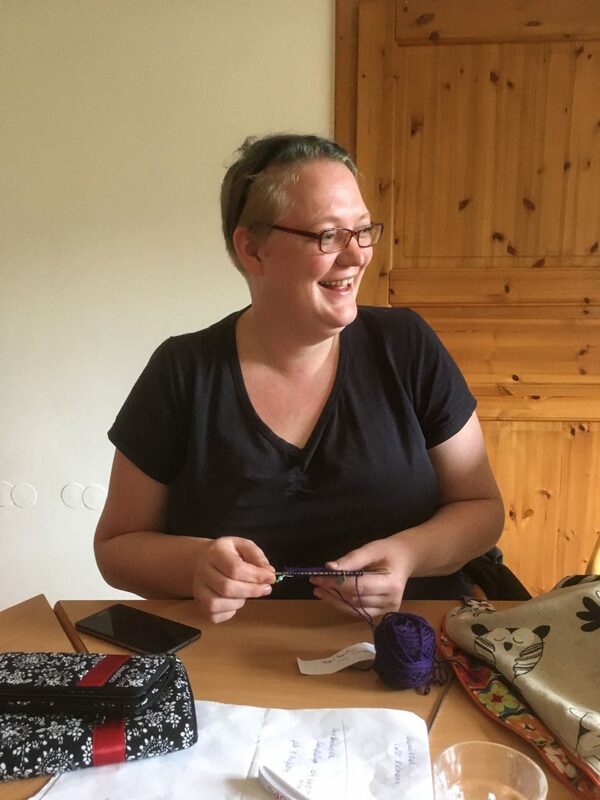 Voted as the most interesting shape by the course we decided to start a vortex shawl to see its construction method in action – if you need quick results, a few repeats will already show you the beauty of turning a concept into a real shawl design. I really enjoyed this weekend. Not only because my courses were so well received by its ausiences but also being an excellent opportunity to make new friends, meet fellow knitters I haven’t seen in years – like Anna (ama) who helped me out a few weeks ago with translating patient records from Greek to English while being in refugee camps in Northern Greece (in real time via Facebook Messenger! Thank you so much!!). 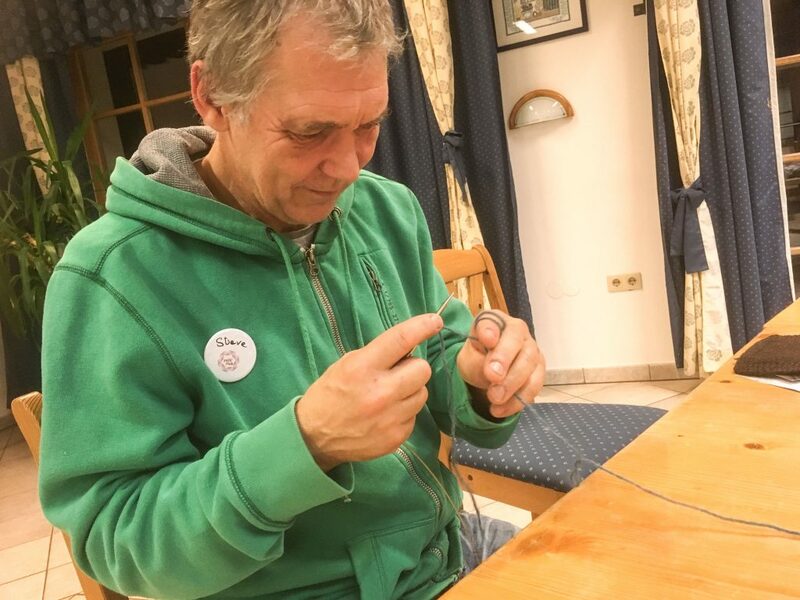 Another opportunity of this weekend has been meeting the yarn dyer Sabine (Flotte Nadel) who is going to provide yarn support for my next big project, Traditional Alpine Knitting. I’ll keep you updated about this project and her gorgeous yarn in the next few days, so stay tuned!